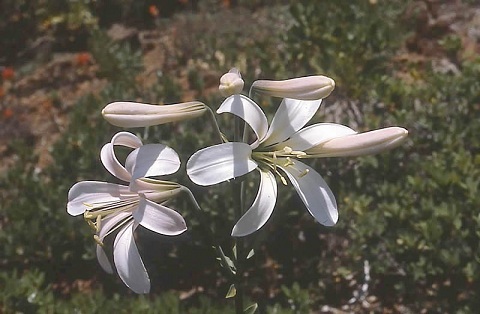 As the name implies, this lily is common to regions of Oregon along the Columbia River and Cascade Mountains, and also the California Sierras. 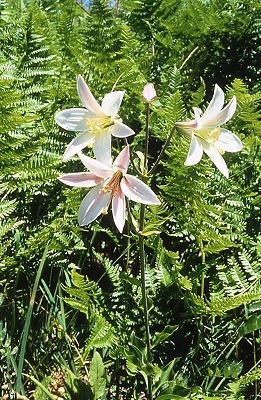 Washington Lily is hardy to USDA zones 8-9, and happiest in dry well drained sunny situations. This is a tall lily reaching 3-6’ tall. The stalks are covered with fragrant trumpet shaped flowers that are white with dark purple speckles. The flowers will change from white to a purple pink color with age. This incredible flower is a "must have" for native gardens in temperate climates. The Washington Lily (Lilium washingtonianum) is an amazing perennial, native to Oregon's Mount Hood and ranges down the Cascades and into the California Sierras. 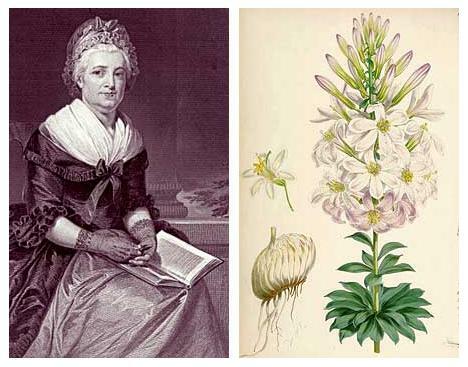 In 1859, botanist Albert Kellogg named this spectacular aromatic plant for Martha Washington, the very first woman to be called "first lady." Native Americans collected the bulbs for food. The plant was such a hit with gardeners, the local population was decimated by the 1950's. However, with some astute rescue work, they are not in danger of disappearing at this time. 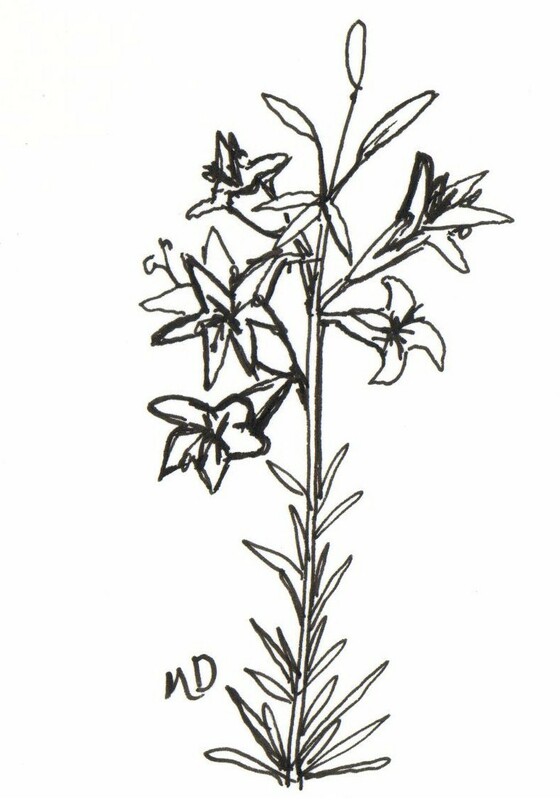 For a short comparison of northwest native lilies, click here.